My pick is In a Handful of Dust by Mindy McGinnis! I can't wait for this book! I loved the first book, Not a Drop to Drink, when I read it last year. It's rare for me to absolutely love dystopians anymore, but I thought it was extremely realistic and well-written. 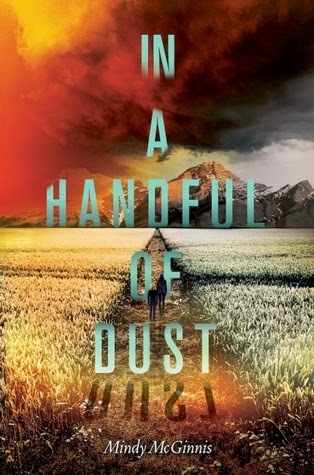 I also think it's so cool that In a Handful of Dust isn't exactly a sequel, but more of a companion book. I'm excited to see what McGinnis will do with this story! In a Handful of Dust releases on September 23, 2014.